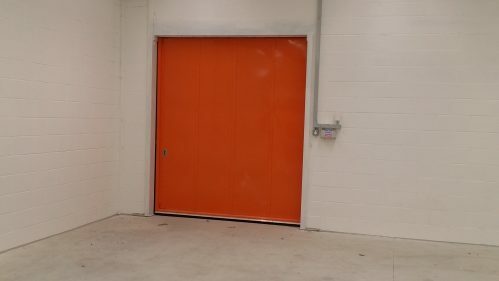 AGS Noise Control Ltd was contracted to supply and install 3no acoustic sliding doors for a new build industrial premises in Wakefield, West Yorkshire. 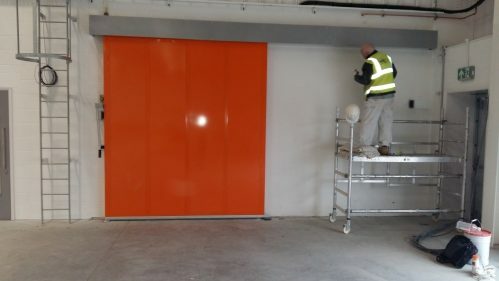 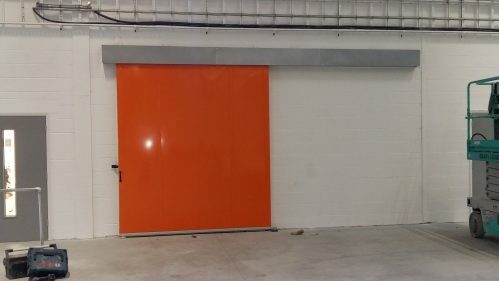 The doors were required to achieve a 45dB reduction and were polyester powder coated to RAL2008 (orange) to match client’s corporate colours. 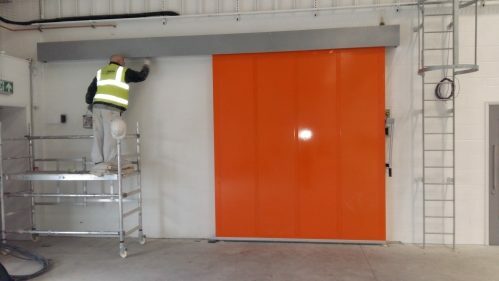 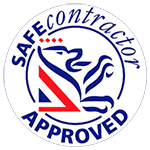 The doors were successfully manufactured in house by AGS Noise Control and installed by our teams of installation engineers.